Founded in 2008, MageWorx is a dynamic, innovative company that develops a wide spectrum of eCommerce solutions. MageWorx product portfolio lists dozens of products, including popular Magento SEO solutions, toolkits for product and order management, advanced shipping extensions, and more. The company’s products are designed to enhance the default Magento functionality, improve customers' shopping experience, provide online merchants with an efficient set of tools to manage their stores, and gear any Magento-based business for success. MageWorx strives to meet customers' ever-changing requirements with a flexible and innovative approach. All-inclusive SEO toolkit for Magento 2. A full pack of advanced SEO features to cover all important onpage SEO activities. Display the next available delivery date, specify the time required for order processing, preferred delivery options, and more. Introduce reward points in your Magento 2 store as a means to build customer loyalty and increase retention. A one-stop onpage SEO solution focused on better rankings results. We offer a unique approach to every SEO project, making sure all your on-page SEO activities are professionally optimized. For you to drive sales and improve online visibility. Being one of the first companies to offer turn-key migration services to its clients, MageWorx has gained solid hands-on experience. That's why we understand that there is no canned approach to migrating a store to Magento 2. Careful PLANNING and ANALYSIS are the key elements of every project success. That's why we deliver only individually tailored migration solutions. The solutions that will enable you to reach new heights with the revamped, more advanced platform. Get the right answers. Make better decisions. Grow your sales. SavvyCube Magento Analytics will help you: - analyze all sales data with one tool, - convert complex sales data into simple stories, - get all info about each order, - identify most/least profitable customers, - find best/worst selling products, - shape winning sales & marketing strategies, and more. 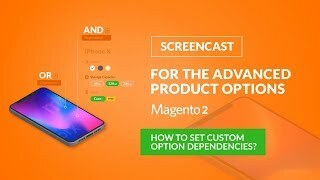 The extension is a have-it-all solution to create/customize/manage product options in Magento2-based stores. Quickly add an unlimited amount of options for any number of products at once. Easily customize and manage every single custom product option in your store. Create product options combinations with dependencies, add and optimize option's Image/Colors Swatches, set options' pricing, accurately track their inventory and a lot more! 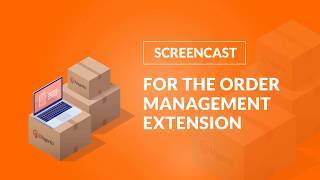 This extension significantly extends the capabilities of the default Magento Sales-Orders grid, lets you conveniently overview all order data in one place, easily manage orders (without canceling them), as well as modify literally any order details.